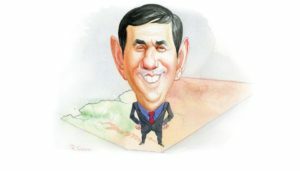 Phoenix – When Doug Ducey arrived at the campaign headquarters of Proposition 123 on the night of May 17, he hoped to celebrate. By ten o’clock, however, the Republican governor of Arizona knew that nearly a year’s worth of negotiation and politicking lay in jeopardy. The polls had closed a few hours earlier and election returns showed voters evenly divided on the ballot initiative, which sought to change how the state funds schools. “We were winning,” says Ducey, “but we needed more information.” He left the office, drove home, and went to bed, unsure about whether he’d eke out a narrow victory or suffer a huge defeat — and perhaps a bit worried about his political future. 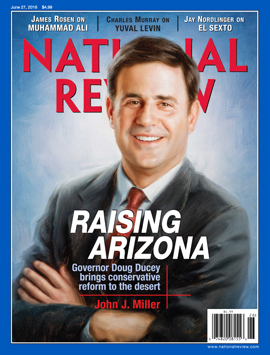 Be the first to comment on "National Review: Doug Ducey’s Blooming, Booming Desert"